Watch Multiple YouTube Videos Simultaneously In 3D Cube ! It is impossible to be without watching how-to-get-exact-search-results-in-search-engines/">YouTube videos but it is sometimes impossible to watch multiple YouTube videos simultaneously. However, now watching how-to-download-youtube-videos-using-grab-browser/">multiple videos in YouTube is too possible with YouCube. YouCube brings an advanced way to watch multiple YouTube videos in the form of interactive 3D Cube. In this cube, you can now-watch-full-length-movies-in-youtube/">upload upto 6YouTube videos each will be played on either side of the cube. how-to-filter-comments-in-youtube/">Want to filter comments in YouTube ? 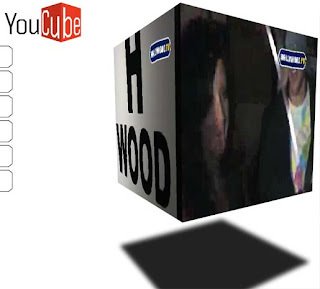 YouCube Demo Video from Aaron Meyers on Vimeo. If you want to how-to-insert-text-in-youtube-videos/">use this feature, click on the buttons on the left side and enter specific URL of YouTube. Moreover, you can youtube-releases-native-software-for-watching-videos-in-mobile/">rotate and move the uploaded videos in the cube with the use of mouse. In additional you can save your youtube-releases-native-software-for-watching-videos-in-mobile/">video cube.